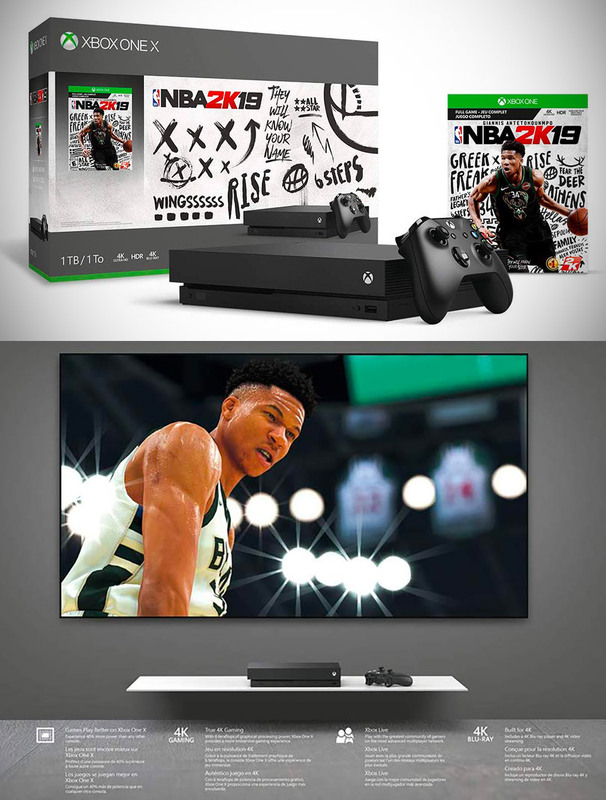 Microsoft’s 1TB Xbox One X NBA 2K19 bundle is being offered for $100+ off, and you can pick one up for $398.99 shipped, today only, originally $499.99. This bundle includes the Xbox One X console, a wireless controller, the full-game download of NBA 2K19, a 1-month Xbox Game Pass trial, and a 14-day Xbox Live Gold trial. NBA 2K19 celebrates 20 years of redefining sports gaming: start your MyCAREER, make a name for yourself, play with the legends, and explore your open-world ‘Neighborhood.’ Product page. Read more for a video unboxing and additional information. “I had the Old Xbox One and I have a TV with 4K and HDR. I gotta say that it looks Great. It’s not a whole new system but I see what the upgrade did. It’s much better than what I had before. I’m sure it will improve over time. I want to play my games at the highest quality I can. I will admit that I was Happy with the Old System. Ive had a 4K HDR tv for a while now. And I was ok with just upscaling cable,” said reviewer Rigoberto on Amazon. More information.